GROOMING: 7 Days a Week! Be patient with your new dog. Your dog is in a new environment with new people. This change can be overwhelming for your dog to get used to and they may be more on edge. Be calm and patient with the transition and allow your dog time to adjust. Be playful. Play games with your dog and show that you are interested in having fun with them. Playing with your dog can provide a great opportunity to interact in a positive way. Be chill. Relax with your dog and give them lots of snuggles and belly rubs. If your dog does not respond well, work your way up by slowly gaining trust through positive touch. Be active. Get some exercise with your pup. This could mean hiking, walks, or even playing in the backyard. Exercising with your pet is a great way to bond. Be positive. 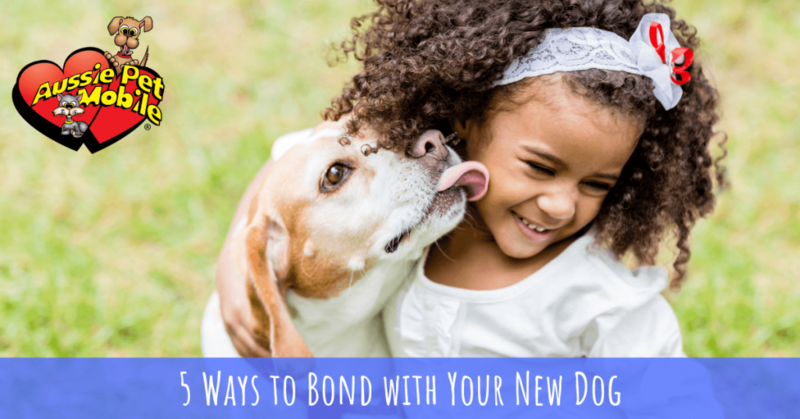 Reinforce behaviors that you like and reward your dog with snuggles, belly rubs, and occasionally treats. Rewarding positive behavior can increase trust both ways! 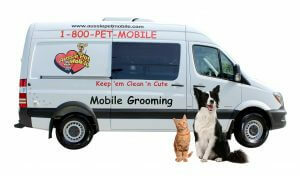 Aussie Pet Mobile Greater Memphis & West TN is rated 4.8 out of 5 based on 450 reviews from around the Web.